Q. 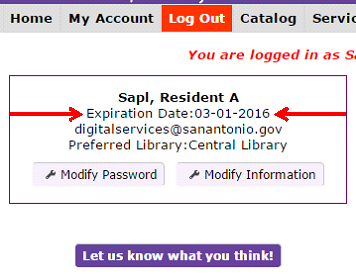 How do I know if my library card number is expired? In order to see when your library card expires, simply log into the My Account area of the website and look at the top left of the page under your name.